Bicycling is a big part of my life and I happened to be visiting Bozeman, Montana this week catching the inaugural women’s bike ride called Babes Bikeabout. A couple hundred women and girls came out on a blistering Friday night for a casual four mile ride through the downtown. I don’t think this photo hit the mark for the assignment but wanted to share it regardless. I love the joy on this young woman’s face as she rolled by on her bicycle as we left a regrouping spot. 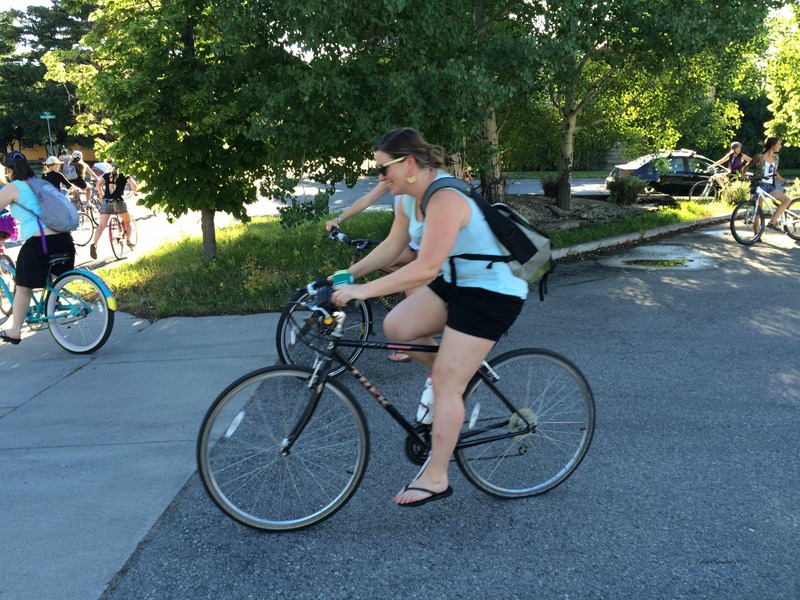 There were over 200 women that came out for the ride – lots of smiles and laughter.